The whole message of Easter is not that there was an event. The whole message of Easter is that Easter released a power that guarantees to everyone who will come to Him that there is a force that will reverse any situation that looks like its been a set up for a put down…to reverse everything in our lives that looks dead. But there is no promise of a schedule, of a schedule that will suit us. Easter released a power into our lives that is available to us every day. Jesus is ever-present with us and He’s given us the Holy Spirit to forever abide in us. 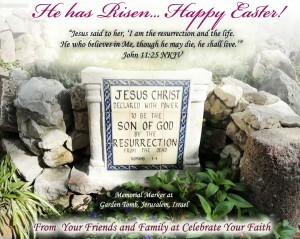 He is “the Resurrection and the Life” (John 11:25). When we believe in Him, life is present ALL THE TIME. There is a constant release of divine life and grace that’s always there for us. We need to not only be conscious that it is there, that HE is there, but we need to RECEIVE this power so it can work in our lives. God will never force His will upon us, but His will for us is always for life and health and fulfillment. 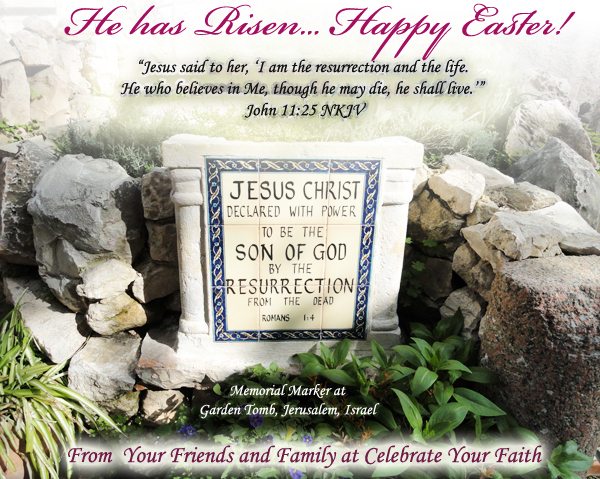 If there is any area of your life that seems “dead” as we celebrate Easter this year, look to Jesus and receive His life-giving power for that situation. Receive His wisdom as your answer. Receive His strength to continue on the journey. Receive His deliverance. There is no promise that it will happen on OUR schedule, but there is a promise that it WILL happen. Hold fast to that promise and you will see it realized!